Which is the tail and which is the dog? and stocks have just endured two uncharacteristically tough days after a prolonged period of exuberance. Longtime bear John Hussman expects the S&P to eventually lose two-thirds of its value. Wells Fargo's head of interest rate strategy is detecting a major trouble spot in the bond market. Who's going to buy all those extra Treasury notes? Trichet: "It is extremely important that the US has been saying that a strong dollar is in the interests of the US." Most famously, back in 1987, Ronald Reagan often repeated that: "A strong dollar means a strong America." When his Treasury secretary, James Baker, appeared on Sunday morning talk shows to threaten the German authorities by saying "either inflate your mark, or we’ll devalue the dollar", the next step has gone down in history. The Black Monday crash came the next day. Janet Yellen has long believed it’s possible for “too many” Americans to have jobs. In her view, shared by many of her generation in the economics profession, consumer prices will rise too fast unless millions of people remain unemployed. I remember sitting in Bloomberg's London newsroom hearing that the sky was falling when Paul O'Neill and John Snow, the first two Treasury chiefs under George W. Bush, veered from the script developed by Robert E. Rubin, who held the post under Bill Clinton and is most closely associated with the term. Prophets of doom predict (or hope) that the world will at last suffer for the sins of activist central bankers. Effekten av Brexit på lång sikt framgår av läget i Nordamerika. Även där finns en stor union. 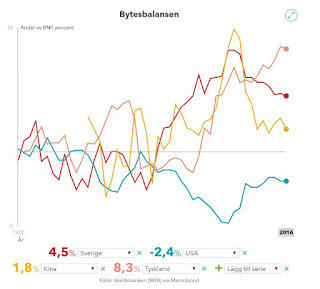 Den kallas USA och har ca 325 miljoner invånare. Washington kräver inte att Kanada skall bli en delstat i USA, anta den amerikanska dollarn som valuta eller ha fri rörlighet för arbetskraften. Ingen tycks tro att Kanada genom att stå utanför USA går en mörk ekonomisk och politisk framtid till mötes. Private non-financial sector debt hit all-time highs in Canada, France, Hong Kong, South Korea, Switzerland and Turkey. In particular, there should be room for formalised theories in which the economy is subject to multiple equilibria — what could be called paleo-Keynesian views — which show how both large crises and protracted periods of stagnation are possible. Maury Obstfeld, the IMF’s chief economist, said Germany’s current account surplus – 8.5pc of GDP, and the world’s largest in absolute terms at almost $350bn (£252bn) – is 4.5 percentage points of GDP beyond what can be justified by demographic arguments. Krugman’s cheerful response is that the New Keynesians were looking the other way. Theirs was a failure not of theory, but of “data collection.” They had “overlooked” crucial institutional changes in the financial system. While this was regrettable, it raised no “deep conceptual issue” – that is, it didn’t demand that they reconsider their theory. The economy needs rate hikes to curb speculative excess. The economy needs higher rates, but not because of any threat of faster inflation. There's a great big pile of evidence that financial markets have reached the speculative mania phase. The Federal Reserve’s response to all of this has been to engage in a ridiculous discussion about inflation targeting. "a very interesting contribution by a group of 14 French and German economists, many of the best policy-oriented thinkers of both countries. " Fed failed to do anything about the massive buildup of debt. Fed was focused on unemployment and inflation during the 1990s and early 2000s, they failed to do anything about the massive buildup of debt. This laid the groundwork for the financial crisis. Antalet bostadsaffärer brukar sedan ta fart under våren. Men enligt Per-Arne Sandgren finns det just nu inte mycket som talar för en prisuppgång. 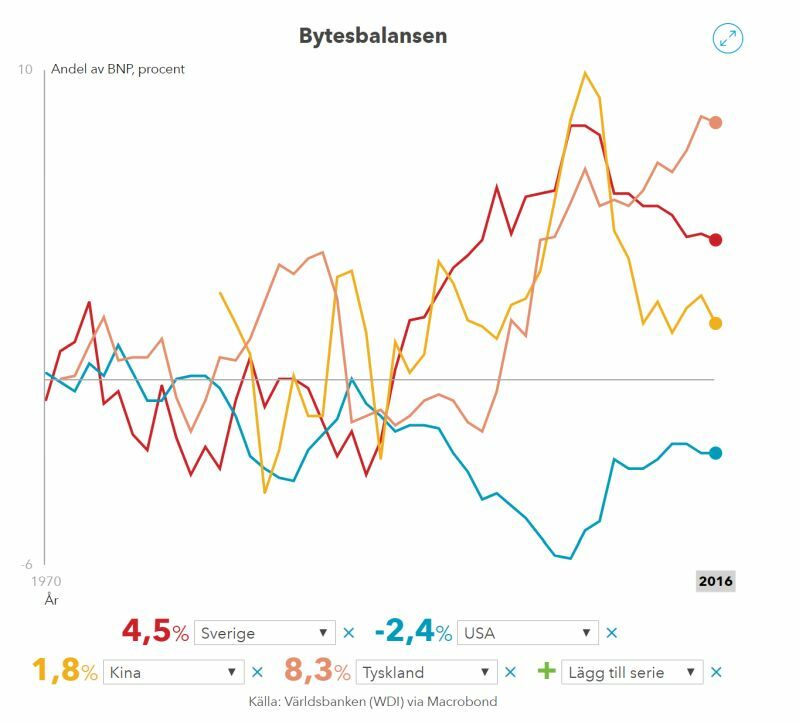 – Men en utplaning kommer säkert att komma, säger Per-Arne Sandgren, analyschef på Svensk mäklarstatistik. Investors believe the 10-year Treasury yield will be below the 3 per cent mark in two, five and even 10 years’ time. 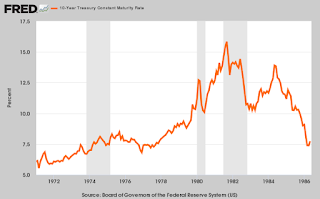 Derivatives contracts indicate that investors believe the 10-year Treasury yield will be below the 3 per cent mark in two, five and even 10 years’ time. 12 x 50 = 600 miljarder dollar, eller i SEK x 8,14 = 4.884 miljarder. By boosting asset prices, policy makers aimed to buttress elevated debt levels and, via the wealth effect, increase confidence, consumption and investment. But rising values of financial instruments representing claims on productive assets don't create real purchasing power unless converted into cash or real enterprises producing earnings. 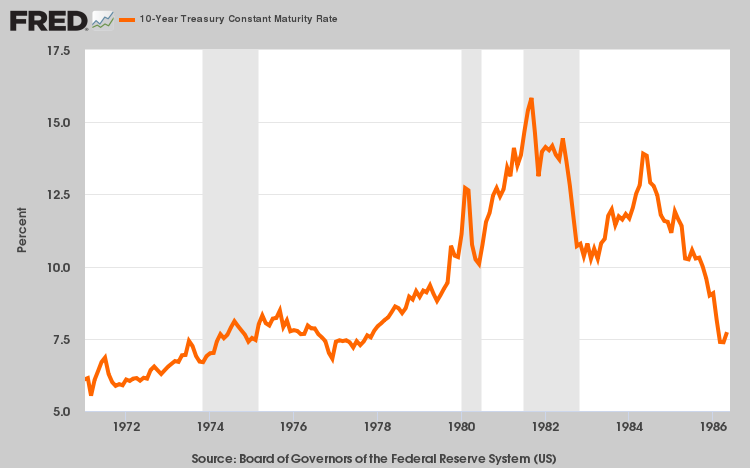 Central banks need to reverse their policies, since continuing low rates and excessive leverage may well result in an explosive cocktail of multiple asset price bubbles. Reversal, however, means that central banks will be unable to control volatility and keep a floor under asset values — something they have relied on to promote excessive risk-taking. Chancellor Brüning's austerity policies went far beyond keeping interest rates high to stay on the gold standard and stem capital flight. Should economic growth slow or cease, the pillars that define our society – democracy, individual liberties, social tolerance and more – would begin to teeter.